It’s wedding season! Newlyweds have a lot to work through after the big day. Perhaps the most important of these their now shared finances. We have some valuable financial advice for newlyweds. Financial decision-making varies from one person to the next and this is no different in a marriage. Learning to compromise and come up with a financial plan that both parties can agree to is invaluable. Money management can actually be a rewarding way to bond with your loved one. By employing some of these tactics, the path to merging your finances will hopefully be successful. The best course of action is to have open communication before marriage. It is never too late to get to know your partner’s spending habits, financial status, and future goals. Maybe they want to invest in real estate, take a sabbatical in the middle of their working lives, or retire early. The most important thing to remember is that teamwork is key. There should be a level of financial compromise as well as constant communication. Learning each other’s strengths and weaknesses is perhaps the most important piece of this. Whether you are married or not, being financially prepared for the future is extremely important. It is never too early or late to start saving for retirement. However, the best time is now. Although finances are probably not the most exciting part of marriage and being a newlywed, they are probably one of the most impactful. Money can be a major strain on any relationship so it is important to iron out the details as soon as possible. As is the case with most things in life, preparation is key. Excellent article. I would add, don’t purchase a house and don’t purchase a new car. And don’t make stupid purchases with credit cards such as a great furniture set for your house that you ought not to have purchased. Those things hurt like mad later on. Great advice! Many of these things I wish we had thought of before we got married. 5 years later, and we are getting it slowly but surely! Good insights! I love how you put communication first. So much of it comes down to that in order to make sure you’re on the same page. Newlyweds should take notice of your timely advice. It pays to maintain open communications at all times. This is one of the essential keys to financial integrity. Great advice and to the point. 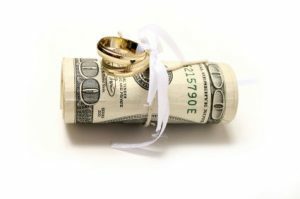 When it comes to finances though I think newlyweds should discuss this well before walking down the aisle and for the rest of their lives together.